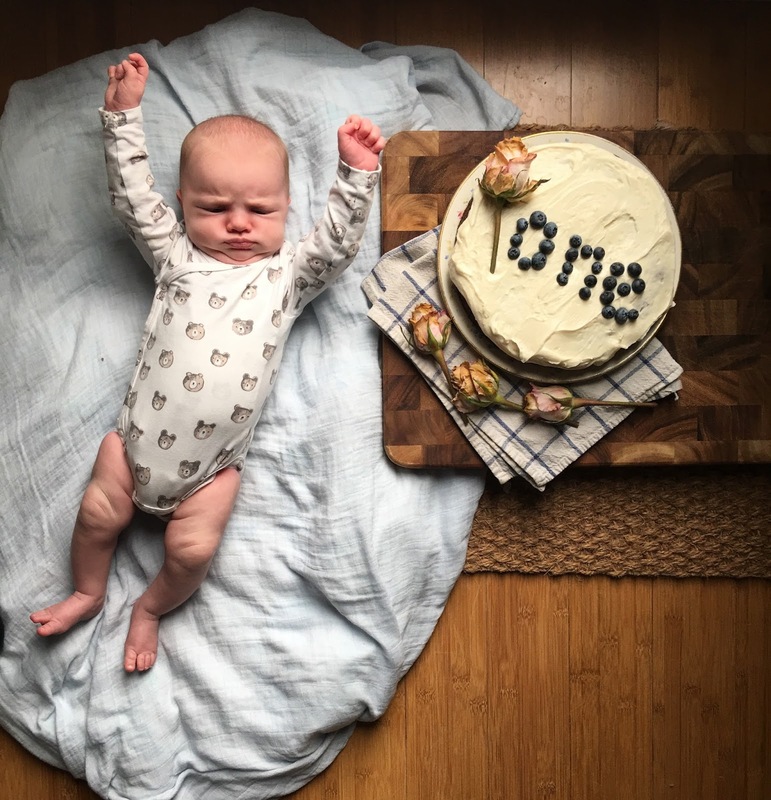 To celebrate Blake's one month birthday I made a cake. Everything is better with a homemade cake, am I right? Life with this little one has been good. She's not sleeping through the night, won't nap anywhere but on me, and nurses as much as I will possibly let her. I would say she's a 'typical' newborn, for as much as newborns can be typical. Over the last few days I feel like her fussiness has decreased, and I hope that she'll soon transition into that 'settled baby' stage. Our lives on the whole, however, have been pretty hectic and filled with changes. Soren and Poppy started at a new school - grade one and nursery. Between two different drop-offs and picking up at 3:30, our days are pretty busy. Both kids cry at drop-offs, but then talk non-stop on the walk home as they fill me in on all the fun things they did. It's hard to leave a crying child, especially when I often have another crying baby in my arms. The kids also started ballet and hockey, which add to our extra-curricular activities. Luckily these events are really fun, both for the kids and for me. Watching them partake in activities that they love is so special to me. Blake has a baby shower coming up this week-end that Poppy and I are looking forward to. 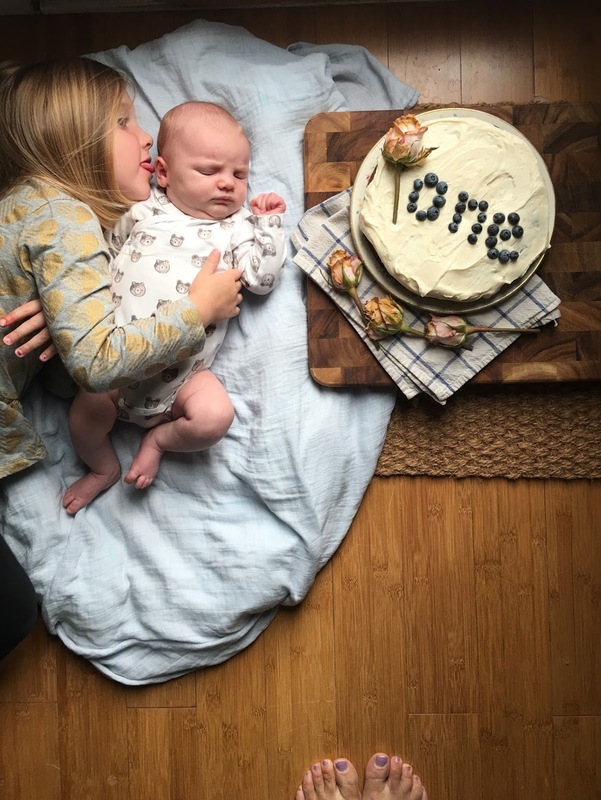 I had initially thought a baby shower for a third baby was too much, but then realized that celebrating a new baby shouldn't be limited to the first born. It's not about the presents, it's about celebrating a new life with our family and friends. Blake is so adorable and yes everything is always better with a homemade cake! I hope your hectic life settles a little now that Blake is entered into the settled baby stage. Hope to see more updates from you soon.